Locksmith in Frisco, TX- Local, affordable and reliable locksmiths in Frisco, TX. When you need friendly locksmiths in Frisco, TX and neighboring cities, consider using Pro-Keys. If you are located in Frisco, TX and need a local professional locksmith service for any of your Residential, Commercial, Automotive or Emergency locksmithing needs, look no further. Pro Keys Locksmith is a well established, reputable and recommended Locksmith company in Frisco, TX. We are family owned and operated and been pro viding service in Friso, TX for over a decade. Our neighborly service and great expertise in our profession helped us over the years to increase and become the leading locksmiths in Frisco, TX and neighboring cities! At Pro-Keys locksmith, our dispatch team is equipped with a high level of a communication system to ensure that your call will be answered and returned in a timely manner. When you call Pro-Keys locksmith in Frisco, TX you can be positive your call is answered and handled by a local, friendly representative that CARES about you and wants to make sure you are treated just like family. After your call is answered our team will make sure to dispatch the job quickly to a local, professional locksmith service technician that will arrive at your location quickly, fully equipped with the right locksmithing tools to make sure the job is performed smoothly and quickly. OUR ARRIVAL TIME IS THE FASTEST IN FFRISCO.We guarantee to send a locksmith service technician to anywhere in Frisco, TX and surrounding areas in less than half an hour! All of our locksmiths in Frisco, tx are licensed and insured service technicians with 5+ years of experience that are able to provide a full line of Residential, Commercial, Automotive and Emergency locksmith services. When it comes to delivering high-quality results, we are the best and are the locksmiths you want at your doorstep. Our locksmiths in Frisco, TX are known to be the most professional in the locksmith field. We are so confident in our ability to deliver flawless and sustainable results, that all of our services are backed up with a year warranty. Our grandmother always said “If you think that a professional locksmith is expensive, wait until you use the serviced of an inexperienced one” That sentence is more than a cute anecdote that is told by an old lady, but it’s a reality. When choosing a locksmith in Frisco, TX, don’t just look at pricing (although honest rates reflect a stable and credible company) but, opt for professionalism, and on top of all, great customer service. 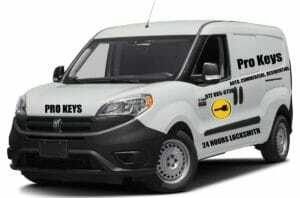 Pro-Keys locksmith in Frisco, tx believe in honest and affordable rates. We stand behind a firm upfront and transparent pricing. When choosing us as your local locksmith in Frisco, tx you know exactly how much you are going to pay prior the job is performed, and best of all, NO HIDDEN FEES. No surprised, what we quote is what you pay. Our extensive line of professional and reliable locksmith services include: Residential and Commercial full locks service, such as; locks change, locks rekey, fresh installation, locks repair and maintenance, and much more! Automotive locksmithing; Did you know we cut and program keys for the majority of cars? From replacement to spare, we got you covered and can get you back on the road in no time! Emergency service; Residential or Commercial doors, lockers, safe and vaults lockouts! Car, trunk and trucks lockouts! NO DAMAGE TO VEHICLE GUARANTEED! Pro Keys locksmith in Frisco, TX provides locks service for your Home! If you are interested in replacing or rekeying your residential locks, we are more than capable to assist! Our qualified residential locksmiths in Frisco, TX are able to change or rekey your home locks in the most professional manner. When it comes to the safety and security of your home, you want to make sure the service technician will be honorable and dependable, that is why we only hire reliable personnel that went through a thorough background check.